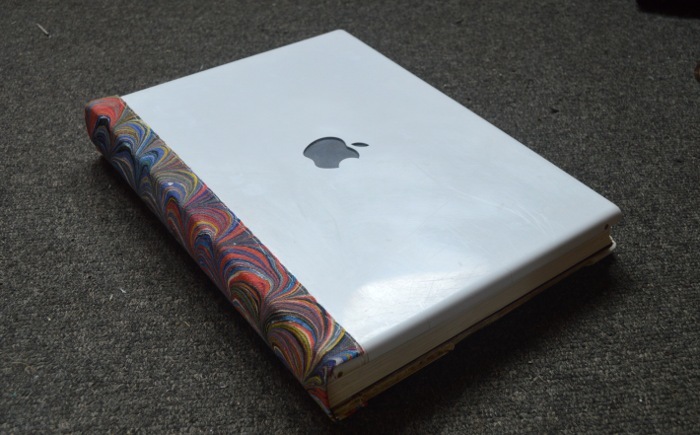 I had a few days spare before we start hanging our marbling on the gallery walls, so I finally finished a project I started a couple of years ago when Nat’s old i-book finally died. What you do with a dead Apple lap-top? Being a carpenter I came up with a carpenter’s solution. I chucked out the offending electronics and filled the husk with thin plywood, turning the shell into book covers. Large volume in the foreground is my “bad luck book”. 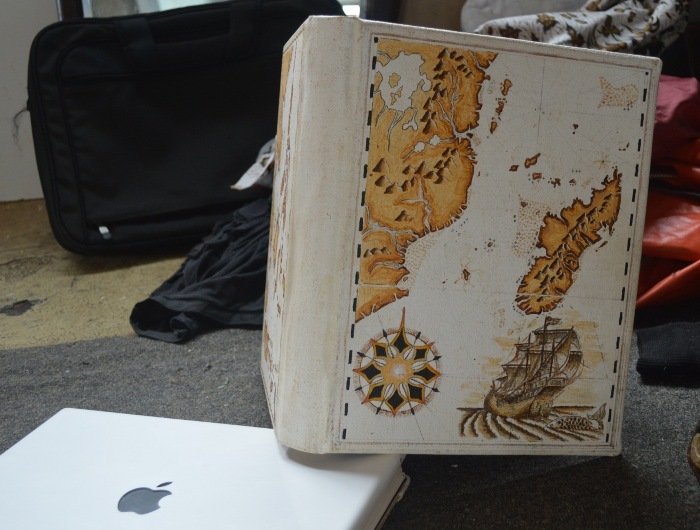 A few years ago I made a fancy log book for a skipper, oversized thick archival paper, handpainted covers with copies of medieval charts, the works. Guy never came back for it. The next try, another sailor liked the book, but he wanted to change the end papers. I dully did, but he never came back either. The last try, friend of a friend expressed interest, but didn’t turn up at the meeting we arranged. 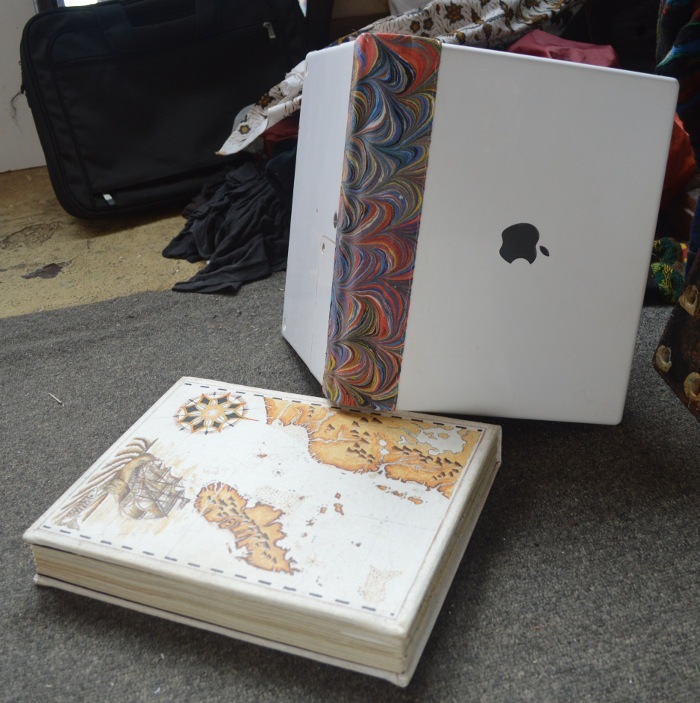 I felt the book was jinxed, and I sliced the block out of the book, pulled it apart, cut the paper in half, and bound two new books out of it, covered in good marbling. I thought it would be shame, throw away the sturdy case with the painting, so I cut up a whole heap of surplus navigation charts and made another block out of them. Immediately the feel of the book changed, and I am keeping it for myself, as one of my own log books.